Do you remember a couple weeks back, when Blizzard released a video specifically designed to drive up hype for their upcoming Diablo projects? And do you also remember how that video specifically designed to drive up hype somehow managed to succeed and, y’know, drive up hype? Well guess what — shame on you for hyping yourself up so much! Okay, elephant-demon in the room: This totally sounds like Blizzard isn’t going to be announcing Diablo 4 at BlizzCon. I mean, why else would they be saying this? The only thing I can think of that might come close to the hype level of Diablo 4 is the potentially in-the-works Netflix series. Granted, maybe an announcement of Diablo 1 and/or Diablo 2 being remastered would be more exciting for some folks — but, again, neither of those has even close to the hype level of Diablo 4, right? Look, I feel for Blizzard, I really do. Before their “we have multiple Diablo projects” announcement video, it felt like the series was stagnant — and that it had been that way for a while. BlizzCon was far enough away that something needed to be done to keep fans interested. On top of that, they made it pretty clear that some of those upcoming projects were far enough off that they wouldn’t be announced this year. But even as a writer for a fan site, I’m fully aware of how crazy Diablo fans go for even the slightest bit of news. Yes, they essentially said the bare minimum they could to keep fans engaged, but did they really not think people would immediately hop aboard the Diablo 4 hype train? When people want Diablo news, they want it to be about Diablo 4. Sure, other Diablo news is great — but it’s just icing on the cake. Without Diablo 4, you just have icing. Tasty, but not exactly filling (unless you gorge yourself on it, in which case, please stop gorging yourself on icing). Maybe this is all a clever ruse to make people even more surprised by a Diablo 4 announcement. 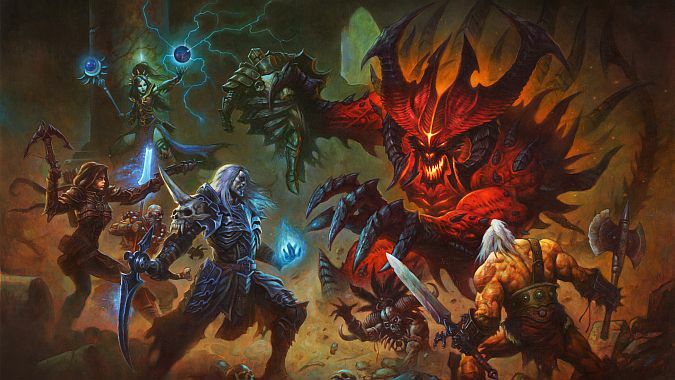 Maybe Blizzard really is going to turn this into the Year of Diablo. But it’s starting to feel like their original hype video should have been a flat-out, “Diablo 4 won’t be ready this year, but we have a lot of other cool stuff coming” video instead. That or they should just not have released it in the first place. Here’s hoping BlizzCon 2018 doesn’t wind up disappointing Diablo fans too much.